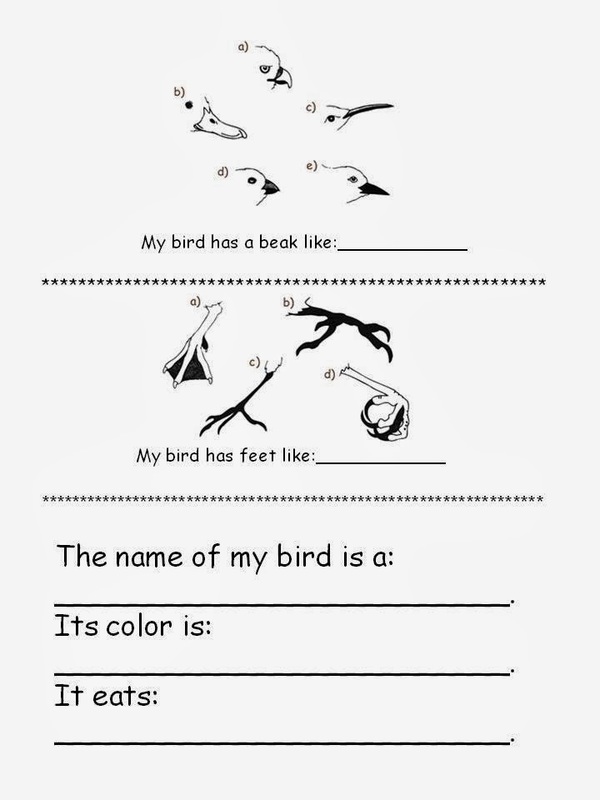 My colleague, Heather, had a great idea for our first graders when they are learning about birds. I thought I would put together a sheet for our kiddos as they "research" a species. The idea is to give them exposure to looking at non-fiction. Each of our kiddos would get one book about a bird. Our library seemed to have a ton to choose from. I would pick the loon. Summer at the lake, remember? They would look at its beak and its feet to determine what it may eat and use its feet to do. 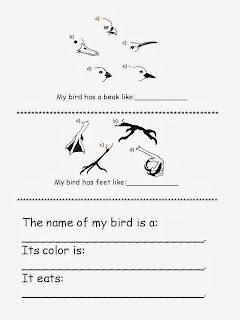 They can draw a picture of their bird and share the color and even label the parts of the bird for their poster. What a great intro to research. Thanks for sharing! Our firsties are doing a great job "researching" a bird. Using picture clues, reading, and then following directions!